You may have noticed that a link you share on social media will automatically get shortened, but what many don’t know is that you can actually choose how and when to shorten your links. Believe it or not, this can make a difference in your SEO and can be very useful in promoting your content and increasing your audience online. You might be asking: why would people keep links long if there is a way to shorten their appearance? According to Mashable, many people keep links long and wordy for SEO reasons since Google and other search engines look at the keywords, which are available in the URL. However, while there may be benefits to lengthy URLs in terms of keywords and SEO, it may be a tradeoff in how many shares your content actually gets. In this way, shortening your URLs can actually increase your SEO since you are getting more shares and more attention on social media. As mentioned above, you may not have even realized what a URL shortener is and when they are generally used.AURL shortener is something used to make a long URL shorter in length without chaining the actual destination of the page that the user ends up on. A URL shortener is typically a URL shortening service, which is why there are so many different options. Consider the screenshot example below. As you can tell, there are many more keywords and much more explicit information in general in the long form, however, the short form looks clean on a platform like Twitter, and forces the viewer to focus on the article and the image present itself, without being overwhelmed by the link. It also makes it easy for someone who discovers the short link to re-share in an article, which can help urge people to create natural links for you. There are four reasons why URL shortness work and why they matter for bettering your SEO. 1. People want to share your posts. One of the best ways to get attention online is by capturing your audience with posts that they want to share. Not only does this increase your visibility, but it also makes you get more website/blog traffic than you would have without promoting content on social media. URL shorteners make your content more appealing, and focus on the article itself. People will be far more likely to click and check your content out if they do not feel bombarded by a URL. 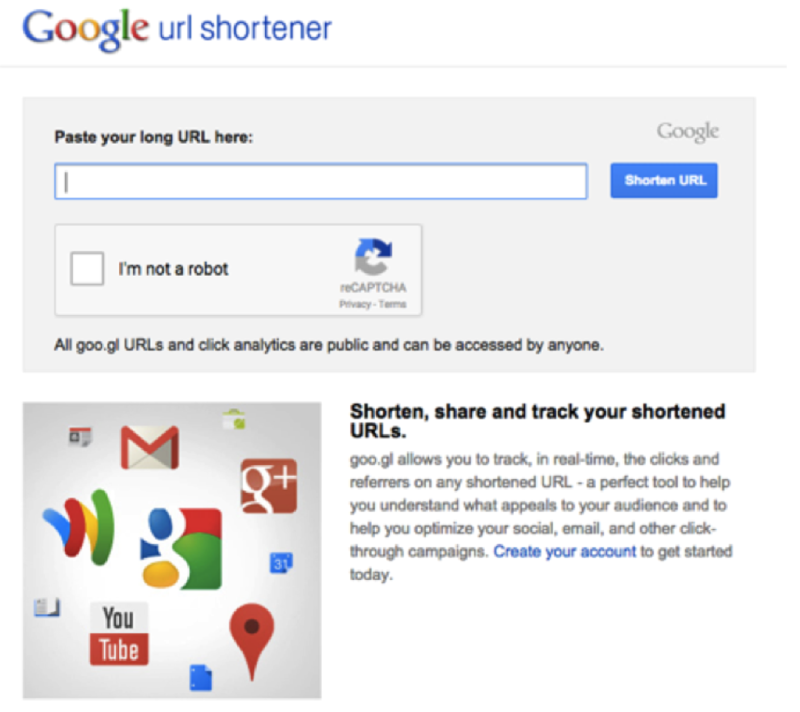 In short: URL shorteners= more shares and more traffic. According to the same Mashable article, URL shortener platforms such as bit.ly have received a lot of attention lately because of the comprehensive data that its platform provides in the form of live click data, geographic location, the webpage the link where the link was clicked, and more. Thus, not only are you getting more clicks, as we discussed above, you are also getting valuable data to learn more about your traffic at the same time. Not only do URL shorteners make people want to click on your content more often, but they will also provide your company with data to show exactly where customers are coming from. This will give you an incredible amount of information to further improve content development and other issues which surround your brand and products. In short: URL shorteners= more click data to use to your advantage. 3. They make links incredibly more manageable. Long-form URLs do have some advantage when it comes to keywords and SEO. However, the long format URLSs are often lengthy and are not easy to share on emails, web pages, and especially social media services like Facebook and Twitter. 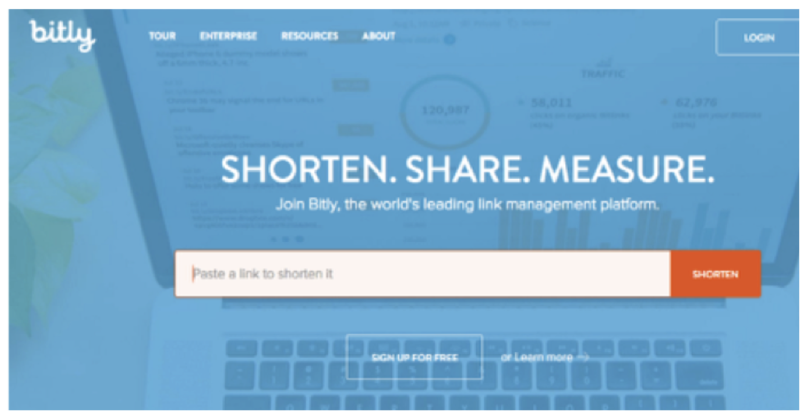 In short: URL shorteners help to make links more manageable to share. 4. URL shorteners are aggregates of information. If you consider all of the data that URL shorteners can gather along with the significant rise on short URL sharing for Twitter and other websites, URL shorteners are becoming a true aggregate of social media content. This is only going to become more apparent and more useful over time, and could lead to some useful mashups and innovations in how people share and digest content. In short: URL shorteners make things more comprehensive and easier. Bitly is definitely the most well known URL shortener. As I mentioned when discussing “click data,” this platform offers tracking metrics so you know exactly how many people are clicking on your link. It is an easy and streamline platform, where you can create a free account and have a dashboard associated with your business account. In my opinion, considering all of the features and metrics embedded in this platform make it a really good place to start! If you are looking for a quick and convenient way to shorten your URL links, Google’s URL shortener is a good place to start. Unlike other similar platforms, it does not require you to create a dashboard, but you can still access data for how many times your link was clicked. Ow.ly is has been growing in popularity recently, as it is tied to the Hootsuite brand and platform. It is definitely one of the most detailed options, with real-time analytics, sharing functionality and features, which offer you advice about what is the best time to post a link. You also have the ability to upload photos to this shortener and turn them into shortened links. As it grows in popularity, and in considering all of the many features that it offers that others do not, there is no doubt that it is one of the best shortening services available today. Going through a free URL shortener, as discussed above, is not your only option.You can actually create a vanity URL shortener just for your business, and there are a lot of benefits to this practice. When you see a shortener that is very specific to a business, it means that that company created this vanity URL shortener, rather than it being randomly generated from a URL shortener or a social media platform. One of the coolest features of this is that anytime one of their links is shared on Twitter or elsewhere, it will automatically shorten to the specific business vanity URL that they have set. 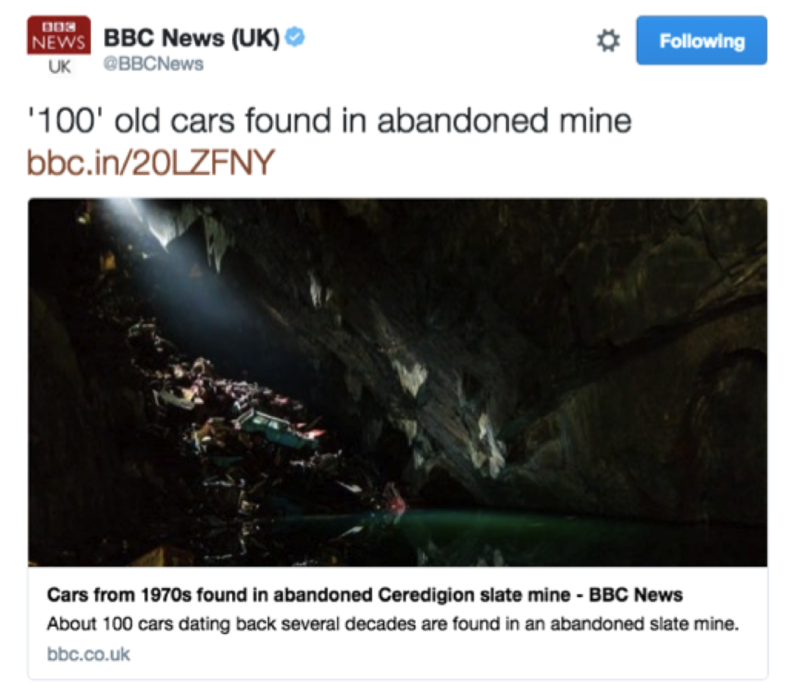 The BBC example above is also a great example of a vanity URL. There are a lot of benefits to going this route as opposed to using a URL shortener. Custom URLs look professional and typically incorporate your brand name into the link. Branding is consistent for content, no matter where you share it. Similar to other shortened URLs, vanity URL shorteners also give you data and analytics. Shortened URLs are becoming increasingly important for content sharing on social media. When this first started happening, people feared the worst for SEO possibilities, since keywords are not as emphasized, and appearance on social media platforms was prioritized. It is clear that this isn’t the case, and rather than being a negative, shortened URLs can actually lead to more shares, more views, and more “clicks” than if you kept that bulky long-form URL. While you may want to start with some of the URL shortener options we addressed first, do consider vanity URL benefits and how these might help your brand’s social media presence even more! Do you have any experience with URL shortener platforms or vanity URL platforms? Let us know in the comments section below, we would love to hear from you!